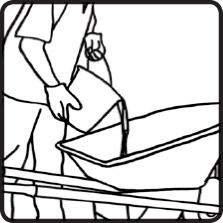 Empty bag into a Wheelbarrow or on to a non-porous surface Add water slowly and mix until a stiff, but workable consistency is achieved. 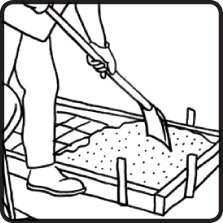 Compact the concrete well after placement, Screed level with a board, trowel smooth if required. 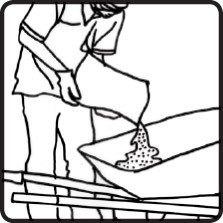 Eight 20kg bags of Concrete will cover approximately 1.5 square metres of concrete to a depth of 50mm. 5 metres long by 1 metre wide and depth at 50mm will need approximately. 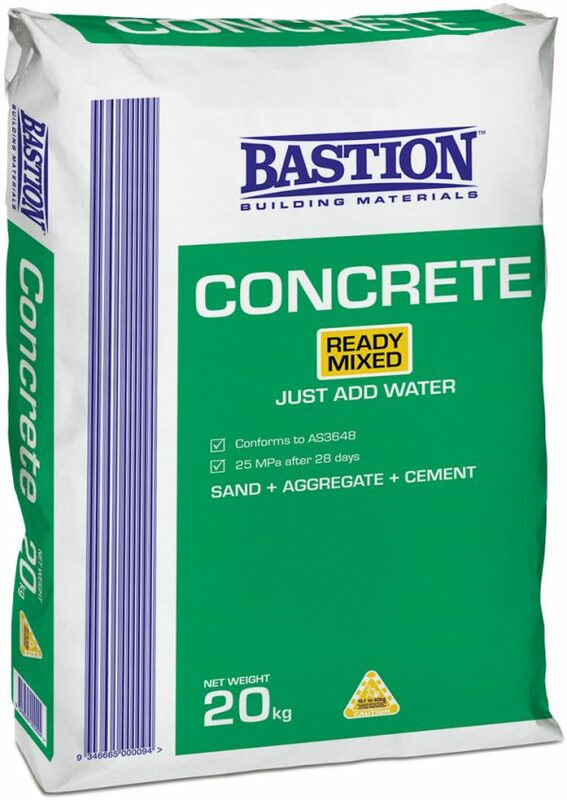 26 bags of 20kg Concrete.